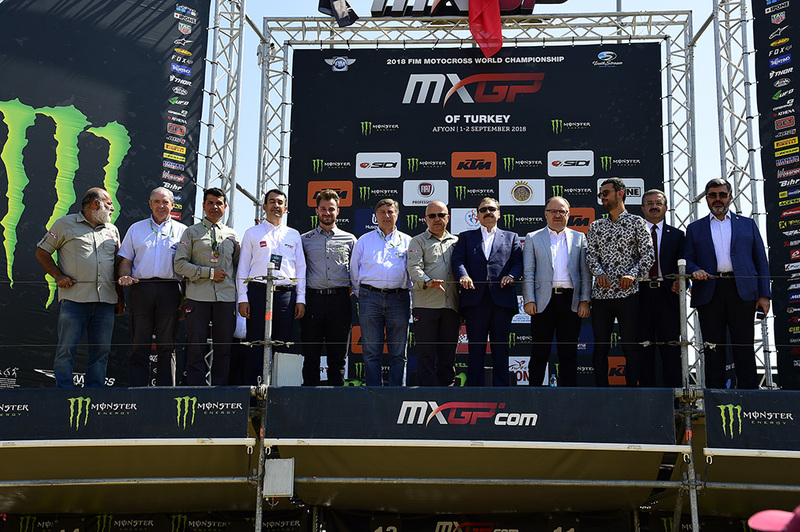 AFYON (Turkey) 02 September 2018 - For the first time the FIM Motocross World Championship has race in Afyon, Turkey. 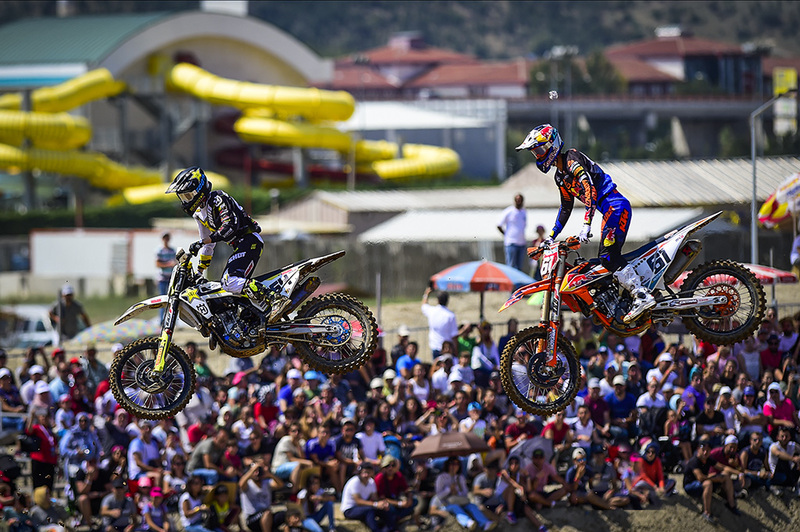 The MXGP of Turkey’s new circuit crowned its first winners today, Red Bull KTM Factory Racing’s Jeffrey Herlings and Rockstar Energy Husqvarna Factory Racing’s Thomas Covington. Jeffrey Herlings: “It was really awesome, the track was pretty nice, I was surprised because it developed really well. I think the organization did a good job and it was a good weekend. I''m so close and I have worked so hard so the next 2 weeks are going to be tough and I can''t wait for Assen. Tim Gajser: “It was a good weekend, I was enjoying it, the track was nice and I felt good on the bike. 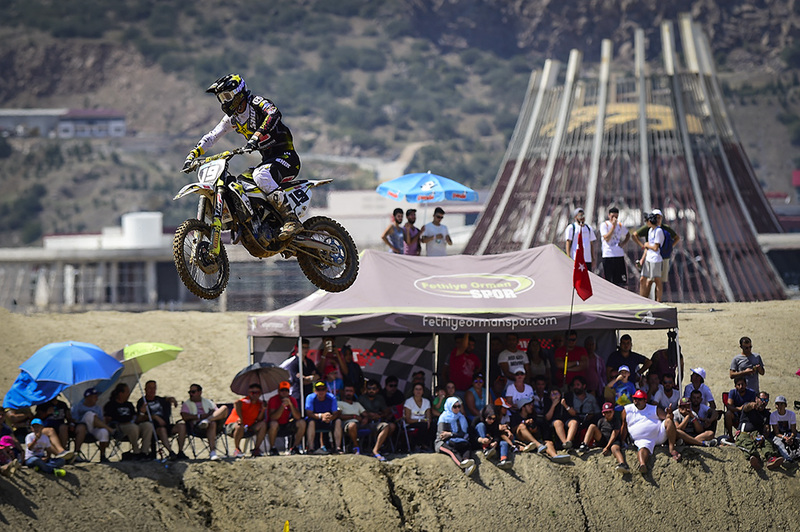 2nd overall is good and I have done it 2 weeks in a row so I am really happy and looking forward to the next one." Clement Desalle: “I am really happy with this podium, because yesterday I wasn''t feeling that great on track so it is good. Every time I went on track I felt better and better. Now 3 GPs in a row I''m on the podium which is consistent and it is good results for the team who are working really hard." Thomas Covington: “I got off to two good starts in the races here and I saw the opportunity to win then just tried to hang on to it. I really wanted to get the 1-1 but just pushed a little too hard... luckily I got back up pretty quick and was still able to get the overall." 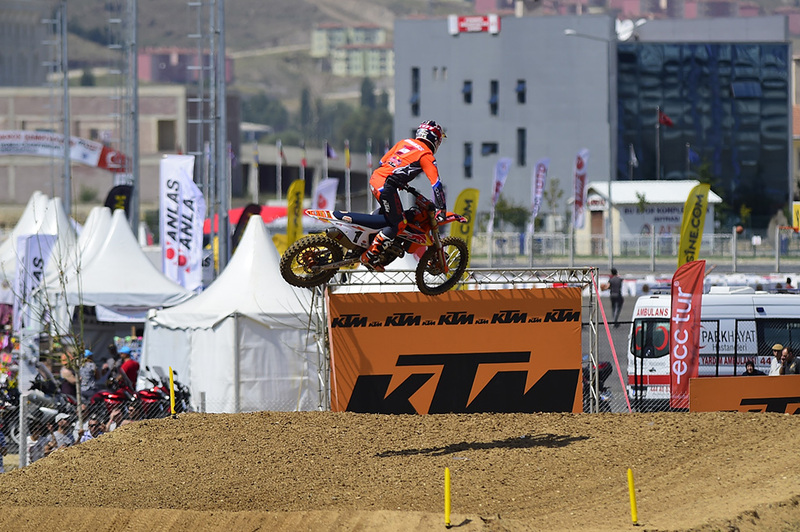 Pauls Jonass: “All weekend I was feeling good. After the first race I wasn''t sure how it was going to be with my knee when I race but like I said yesterday it is not over till it is over. I gained 6 points in the championship this weekend, there is still 100 points on the table and like I said nothing is over, we are going to fight until the end because for me there is nothing to lose anymore." Thomas Kjer Olsen: “It feels really good to be up here on the podium again with my teammate. At the moment I am having a lot of fun on the bike... I just felt good this weekend." 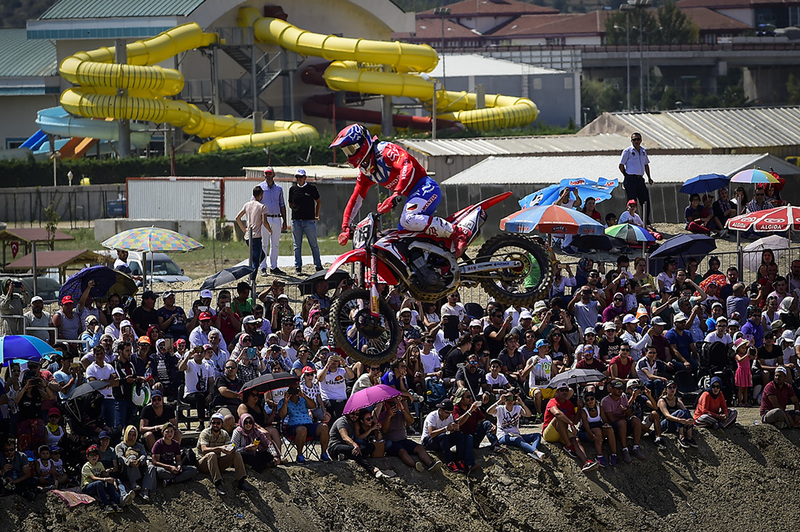 Jorge Prado: “I was feeling good this weekend. I am still pretty happy how everything went, I didn''t go down so I''m safe, just struggled a little in the second race." MXGP was be available across the board in high definition and is also globally available to view live and in HD on MXGP-TV.com. 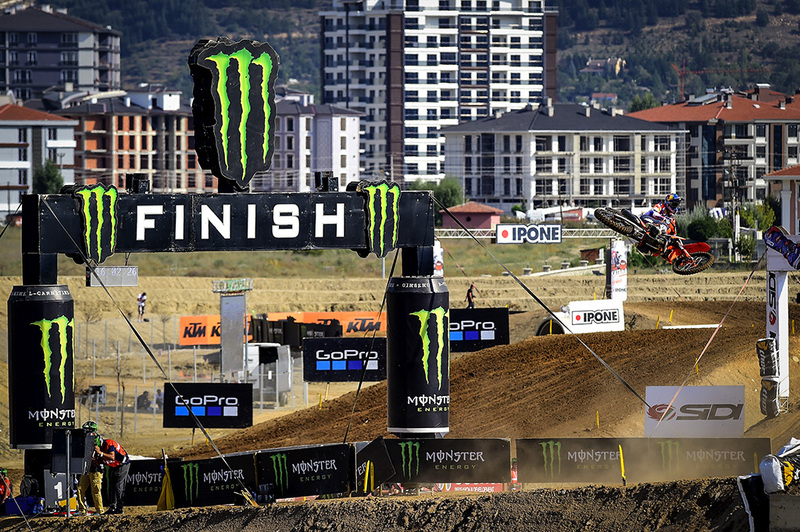 Click here for the complete list of countries and cooperating MXGP broadcasting networks. 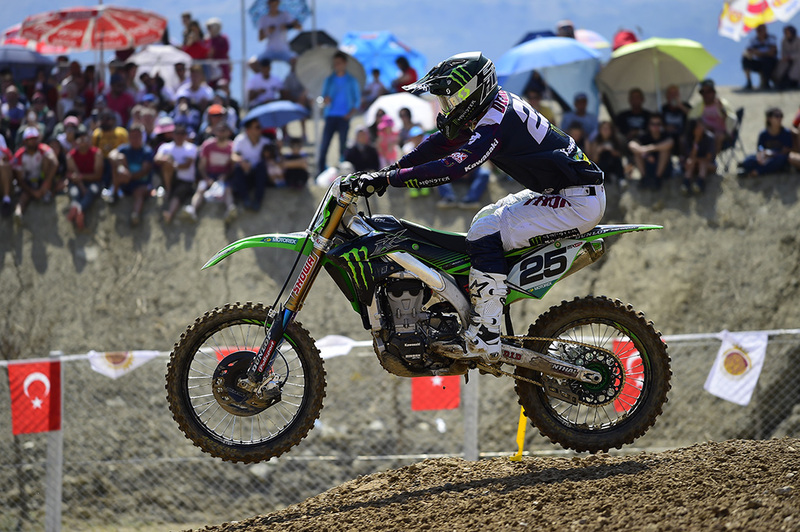 The 19th and penultimate round of the FIM Motocross World Championship will take place in Assen, The Netherlands on September the 16th.